A new UN study highlights the potential benefits of reducing specific air pollutants which not only help to prevent climate change but have a number of positive benefits for human health and agriculture. If the world is to avoid dangerous climate change and keep a twenty-first century temperature rise below two degrees Celsius or less, it will be necessary to achieve a significant reduction in emissions of carbon dioxide – a key greenhouse gas. However, the United Nations Environment Programme (UNEP) and the World Meterological Organisation (WMO) report coordinated by the Stockholm Environment Institute on Integrated Assessment of Black Carbon and Tropospheric Ozone shows that the measures can reduce near-term climate change and premature deaths and crop loss by taking action to reduce these two pollutants. Black carbon exists as particles in the atmosphere and is a major component of soot. At ground level ozone is an air pollutant harmful to human health and ecosystems and, throughout the lower atmosphere, is also a significant greenhouse gas. Ozone is not directly emitted, but is produced from emissions of precursors of which methane and carbon monoxide are of particular interest. Black carbon and ozone in the lower atmosphere are harmful air pollutants that have substantial regional and global climate impacts. They disturb tropical rainfall and regional circulation patterns (e.g. the Asian monsoon) affecting the livelihoods of millions of people. Black carbon’s darkening of snow and ice surfaces increases their absorption of sunlight which, along with global warming, exacerbates melting of snow and ice around the world. This affects the water cycle and increases the risk of flooding. Black carbon, a component of particulate matter, and ozone both lead to premature deaths worldwide. 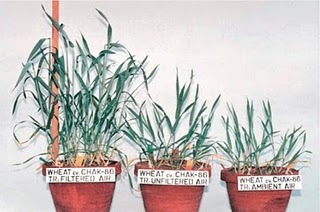 Ozone is also the most important air pollutant responsible for reducing crop yields and affects food security. The UNEP/WMO study calls for immediate action to reduce emissions of black carbon and tropospheric ozone, which have the potential to slow the rate of climate change within the first half of this century. Climate benefits from cutting ozone are achieved by reducing emissions of some of its precursors, especially methane which is also a powerful greenhouse gas. These short-lived climate gases (e.g. 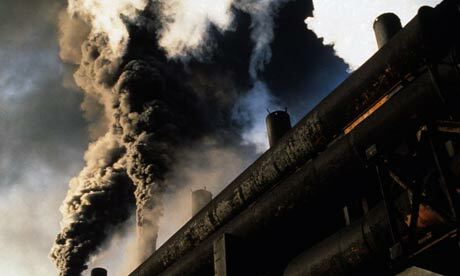 black carbon and methane) only remain in the atmosphere for a short time compared to longer-lived greenhouse gases (e.g. carbon dioxide). The study also highlights how a small number of emission reduction measures targeting black carbon and ozone precursors could immediately begin to protect climate, public health, water and food security, and ecosystems. The measures include the recovery of methane from coal, oil and gas extraction and transport, methane capture in waste management, use of clean-burning stoves for residential cooking, diesel particulate filters for vehicles and the banning of open burning of agricultural waste. Full implementation is achievable with existing technology but would require significant and strategic investment and institutional arrangements. The study claims that the full implementation of the identified measures would reduce future global warming by 0.5 degrees Celsius (within a range of 0.2 – 0.7 Celsius). If the measures were to be implemented by 2030, this could halve the potential increase in global temperature projected for 2050 compared to a reference scenario based on current policies and energy and fuel projections. The rate of regional temperature increase would also be reduced. In addition, implementation of all the measures could avoid 2.4 million premature deaths (within a range of 0.7- 4.6 million) and the loss of 52 million tonnes (within a range of 30.140 million tonnes), 1.4 per cent, of global production of maize, rice, soybean and wheat each year. The most substantial benefits will be felt immediately in or close to the regions where action is taken to reduce emissions, with the greatest health and crop benefits expected. The study concludes that there is confidence that immediate and multiple benefits will be achieved upon implementation of the identified measures. The degree of confidence varies according to pollutant, impact and region. For example, there is higher confidence in the effect of methane measures on global temperatures than in the effect of black carbon measures, especially where these relate to the burning of biomass. There is also high confidence that benefits will be realised for human health from reducing particles, including black carbon, and to crop yields from reducing tropospheric ozone concentrations. While many of the measures identified by the study are already available and being implemented by some countries, a considerable amount of work will need to be done if these measures are to be implemented on a international level. A government may ban the burning of agricultural waste burning however enforcement of the ban is a different issue. In developing countries where there is limited resources they may not have he man power to enforce such measures the same could be said for the use of cleaning burning stoves. Fearful that the focus on short-lived climate gases will deter from the current GHG reductions efforts, the UNEP/WMO study warns that deep and immediate carbon dioxide reductions are still required to protect against long-term climate. The measures identified by the study complement but do not replace anticipated carbon dioxide reduction measures. For major carbon dioxide reduction strategies target the energy and large industrial sectors and therefore would not necessarily result in significant reductions in emissions of black carbon or the ozone precursors methane and carbon monoxide. As with many environmental problems, we know the cause, we the know the effects and we know the solutions but we are still faced with the barriers of political apathy and public resistance that stifles progress in resolving the problem. The study clearly demosntrates the benefits of taking action on black carbon and ground-level ozone (and its precursors) have of a number climate change, public health and food security benefits especially in developing countries where health and food are high priorities. All we need now is to put what we know into practice.